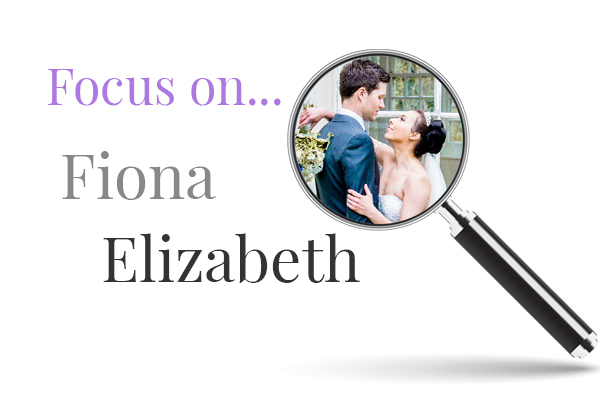 Focus On… Fiona Elizabeth Photography! 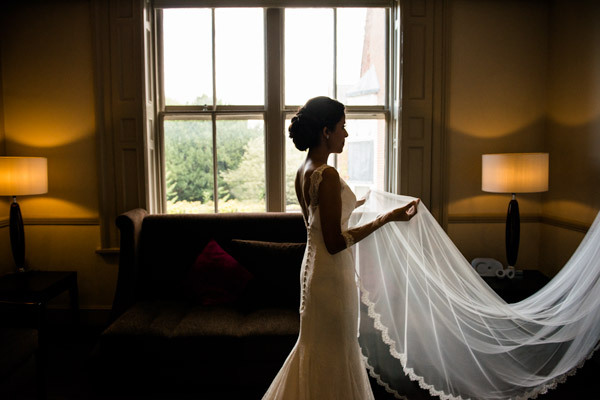 I used to work in London for a post-production company before getting married and having a young family. I wanted to go back into full-time work so decided to re-train in photography before setting up my own business. I enrolled at Croyden College where I did a few basic photography courses. I initially learnt photography on film, which was really fun, before getting my head around digital. I did assist a little bit to my college teacher Roger Brown, who had his own wedding photography business. He allowed me to shadow him on a couple of his weddings which was invaluable as without doing that I wouldn’t have had a portfolio. I think my style is simple, sophisticated and timeless. It’s not quirky, I don’t do funky angles or use crazy colours. I look for images that will hold your eye for a long time. I use both Lightroom and Photoshop, but mainly Lightroom as I prefer to only tweak images using tools such as the colour corrector. If I need to spend a little more time on a photo then I will take it into Photoshop, however it’s becoming easier and easier to only use Lightroom with tools like the painting tool and cloning tool. Having my own business, having my own schedule, photographing really lovely weddings and meeting really interesting people. I love having something I can call my own. It can get quite lonely as during the week I’m in the office by myself. Not at the moment, I’ve got two young children so having any free time is quite tough! It’s definitely something I would be interested in through. I have some ideas for possible projects in the future so maybe during the winter months when it’s a bit quieter. My advice would be to plan and to have a good structure on how you want to be perceived in the industry. What do you want your work to say to people? What message are you sending out? Those things are really important because they will ultimately drive your business forward as well as your pricing range. Equally, I really feel that being a member of institutions and societies like the BIPP who offer support and qualifications for photographers is so important, no matter if you are experienced in the business or just starting out. The experience and knowledge I have gained through my Associateship with BIPP has been wonderful and so valuable. The best piece of advice I have received was from my BIPP mentor Chris Harper FBIPP. He told me that it’s really important to be patient, to plan and to think and to really focus on the creative development and structure that you want your work to take. I believe this is important in terms of photography in general as well as running a successful business. I would still be working with images, probably in post-production. I would think possibly either using software to edit or organizing other editors which was similar to what I used to do in London. I would love to be effortlessly creative. When you try to think on your feet at a wedding it can cause a lot of stress for you and the client. So I spend a lot of my time planning images in my head, especially portraits, so that when I get to a wedding I already have a good idea of the type of photos I want to create. If I was effortlessly creative it would save me a lot of planning! That’s really tricky I love so many different ones, varying from quite dark films to the more light-hearted and fluffy. I can’t choose! Anything to do with artwork. I love looking at artwork and reading about different artists. One of my favourite things to do at the moment is to visit art galleries. Where I live now, it’s a really lovely place. I think I would buy a studio and put some money towards my business. I would really love that. It allows me to control my website so I can change things, upload and spend time optimising my site whenever I need. It’s very easy to use and for me to share my images with clients. It’s very professional. To see more of Fiona Elizabeth Photography check out her website and like her on Facebook! Focus On…Lucy Williams! Focus On…Rebecca Northway! Focus On… Grant McKelvie! Focus On…Ashley Franklin!